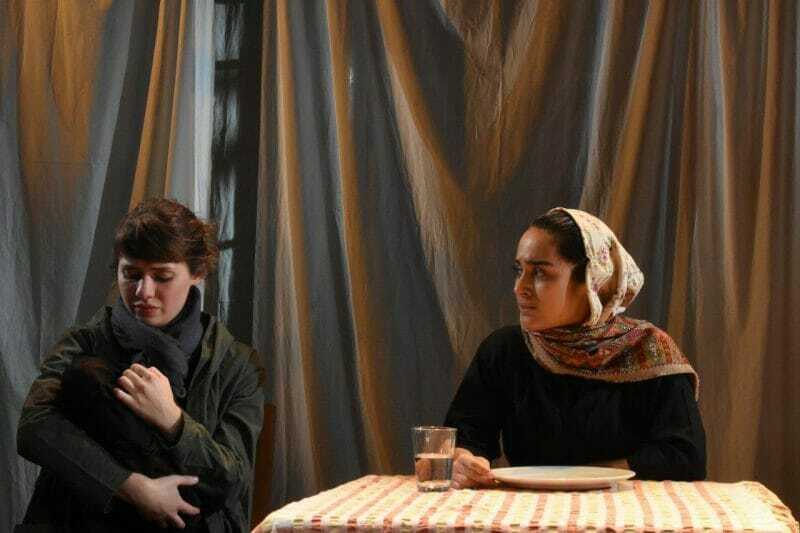 Deeply touching play Of Our Own Making has opened at The Tara Theatre and plays until 16th February. Written and directed by Jonathan Brown, it displays a powerful story dealing with important topics; the refugee crisis and terrorism. The mood of the play shifts between rage, despair, passion and hope, with an unexpected plot twist to really grab the audience’s attention. Of Our Own Making gives audiences the opportunity to see the stories of people who are usually not given the chance to defend their actions and beliefs. We see the lives of five individuals, with different backgrounds, cross, connect and change forever. Parsifal is a young, insecure boy who gets caught up in a matter much bigger than he is capable of dealing with. Hussan, a mysterious man travelling into Europe, and Saif, a well-educated man who tries to run from ISIS ruled countries. Then there’s Micky, a determined tabloid reporter who tries to get a story about refugees, and Amira, a young refugee mother in search for shelter. The simple staging used in Of Our Own Making created just the right ambience for this piece. The actors, Natali Servat, Erin Elkin, Vincent Kerschbaum, Hamza Siddique and Jonathan Brown deliver a powerful, and simply astonishing performance with incredible naturalness of character. 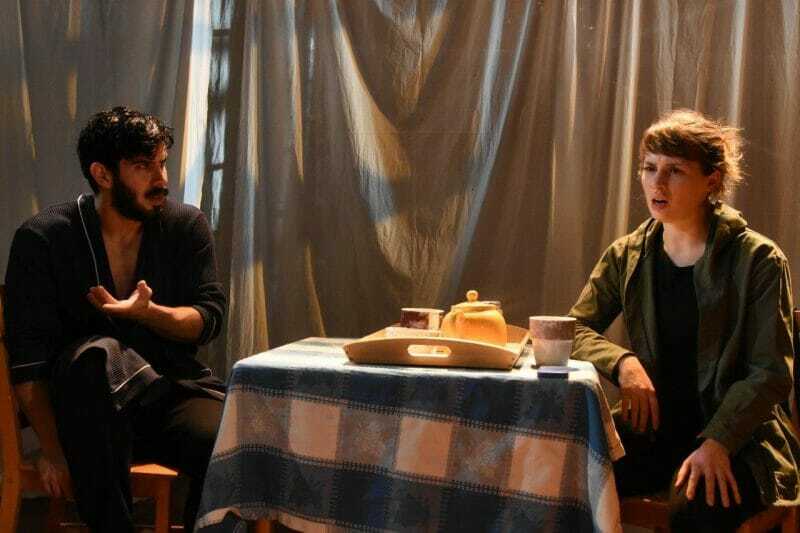 One could feel the tension rising in the room as the story developed, and although the play is nowhere near comedy, there were moments so tense you couldn’t help but laugh or gasp, or even cry with the actors. Running at a full two hours it holds the audience’s attention throughout, with not one moment where it becomes dull or uninteresting. With very little the cast and creatives manage to accomplish a lot. With the use of simple but explicit staging and costumes, this production makes the audience focus more on what is most important, the story. And from that story we are able to feel a number of emotions, helped by innovative lighting design by Joseph Thomas. Of Our Own Making is a “must see” for everyone, as it covers some of the most important problems we face in the world today Usually we don’t get to see that part of the story, told by the victims. Everyone has opinions but mostly not based on knowledge. Once you see the story of such issues from the other side; from the ISIS solider, from an immigrant, from a tabloid journalist, you find yourself forming a different opinion. There are few pieces of theatre which can deliver such a big story in such an intimate way. Tara Theatre Announce Their Second Annual Festival of Female Artists, I’ll Say it Again!